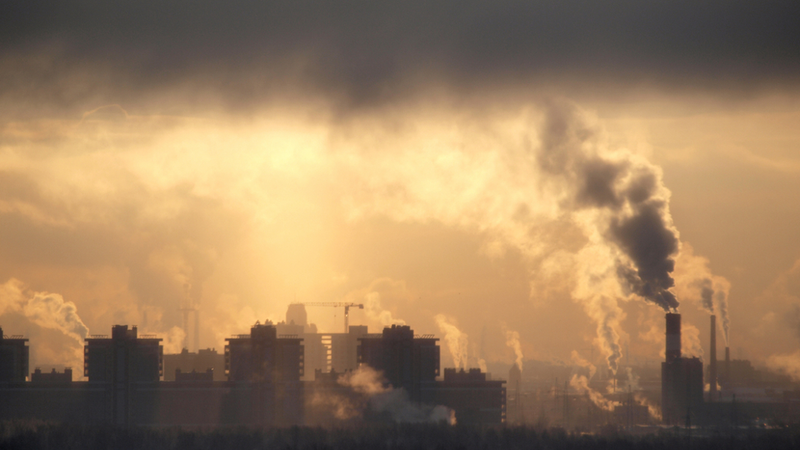 Scientists from the University of Toronto have discovered a human-made chemical lurking in the atmosphere that's an exceptionally long-lived greenhouse gas. Called perfluorotributylamine (PFTBA), it's a record-setting molecule that if left unchecked could have a profound impact on climate. Perfluorotributylamine, which has been in use by the electrical industry since the mid-2oth century, is the most radiatively efficient chemical known to science — a measure of how effectively a molecule can influence climate. The value of radiative efficiency is multiplied by its atmospheric concentration to determine total climate impact. The industrial chemical is used in various electrical equipment, such as transistors and capacitors. The researchers aren't sure how widespread its use is today. According to the new study, which now appears in the journal Geophysical Letters, PFTBA is 7,100 times more powerful at warming the Earth over a 100-year time span than CO2. Thankfully, current concentrations are low. In the Toronto area, it's at 0.18 parts per trillion. That compares to 400 parts per million for CO2. So despite the finding, PFTBA doesn't trump the burning of fossil fuels as the main driver of climate change. "This is a warning to us that this gas could have a very very large impact on climate change – if there were a lot of it. Since there is not a lot of it now, we don't have to worry about it at present, but we have to make sure it doesn't grow and become a very large contributor to global warming." He said a number of recent studies had drawn attention to other potential new greenhouse gases which, like PFTBA, pack a lot of warming potential in each molecule but are not very prevalent in the atmosphere. Such studies were a warning against increasing uses of such compounds without first understanding their impact on climate change, he added. Again, the trouble with PFTBA is is long-lived nature. It can sit in the atmosphere for about 500 years, and unlike CO2, it has no known natural "sinks" on Earth to absorb it, like forests and oceans. Read the entire study at Geophysical Research Letters: "Perfluorotributylamine: A novel long-lived greenhouse gas".